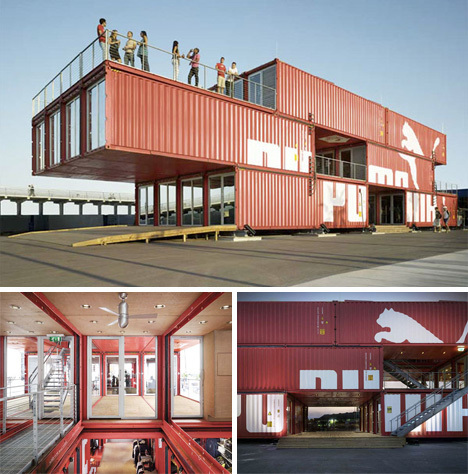 Puma City was built for the 2008 Volvo Ocean Race. Overall, 24 shipping containers were used for this portable store that traveled around the world for a year. The light-filled, airy interior is a whopping 11,000 square feet and features plug-in HVAC and electrical systems, allowing it to be simply plugged in at each location. Between locations, the store was taken apart and loaded onto a cargo ship to be transported.